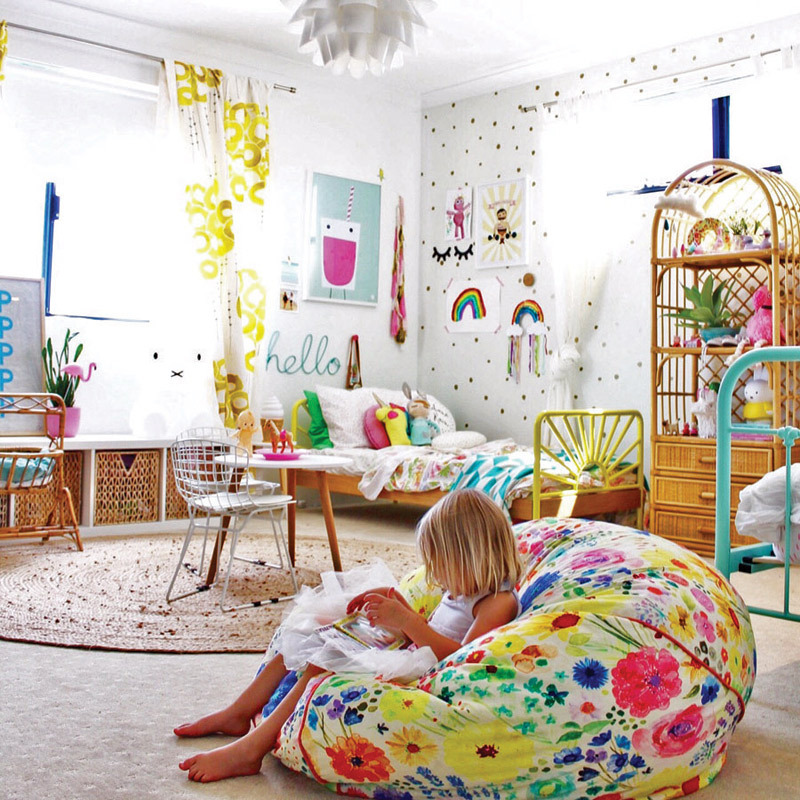 I will admit upfront that my own kids’ rooms never looked like this, but I always dreamed they would! 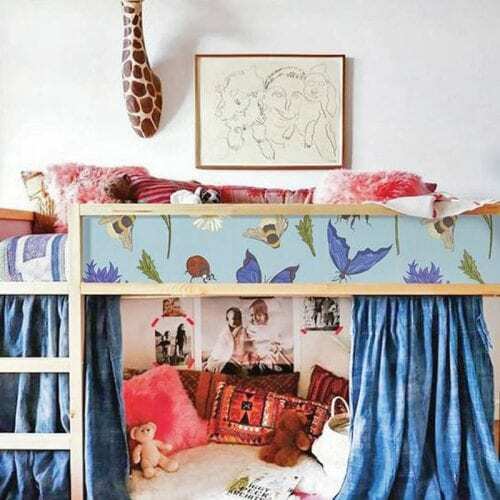 I have rounded up some of the coolest ideas for the younger set so you can create the dream room I never did. 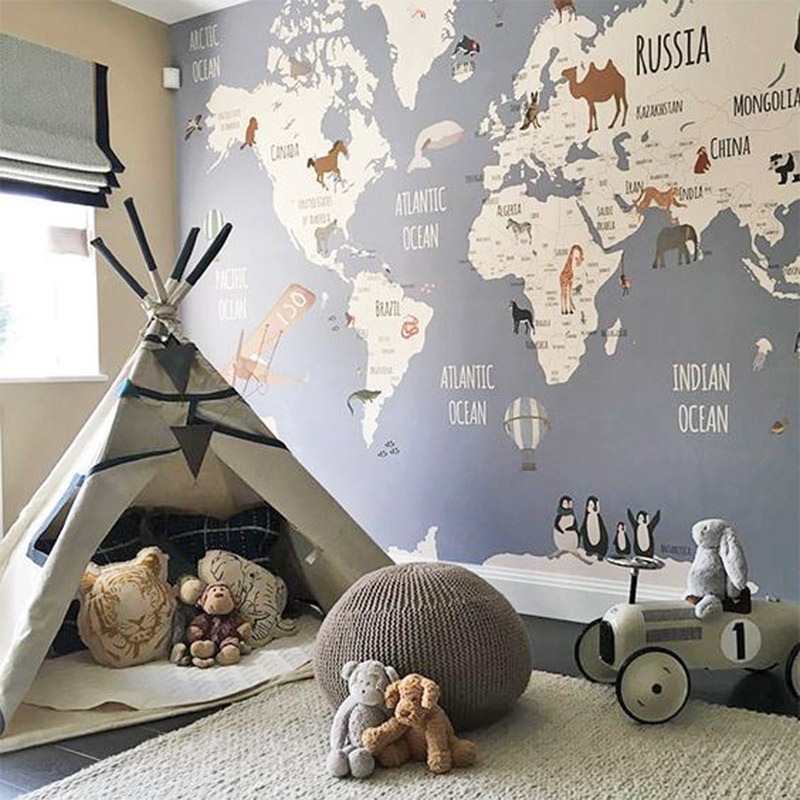 Teepees have become all the rage and are a cute place to play or nap. 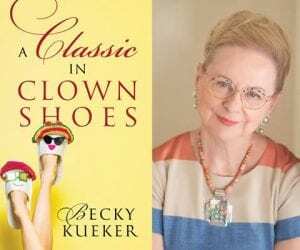 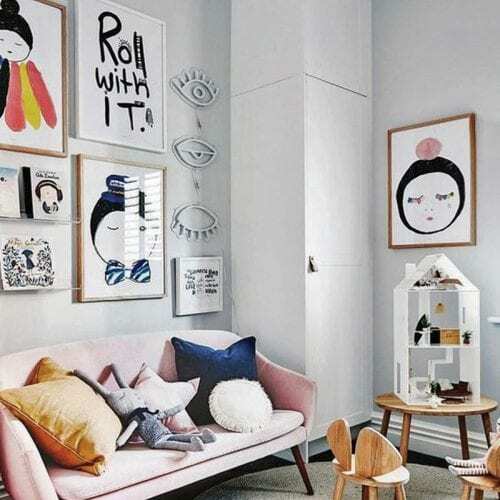 Flea market finds that are painted or slipcovered come together to say fun. 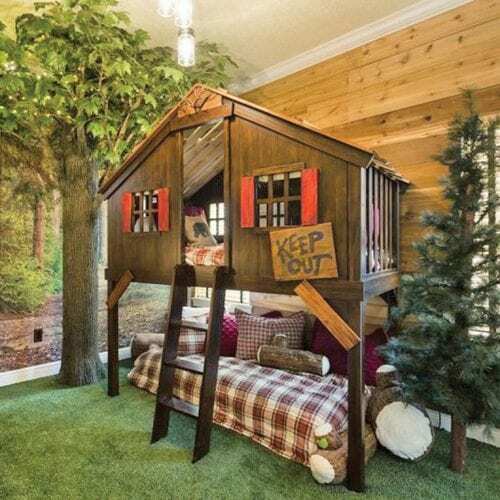 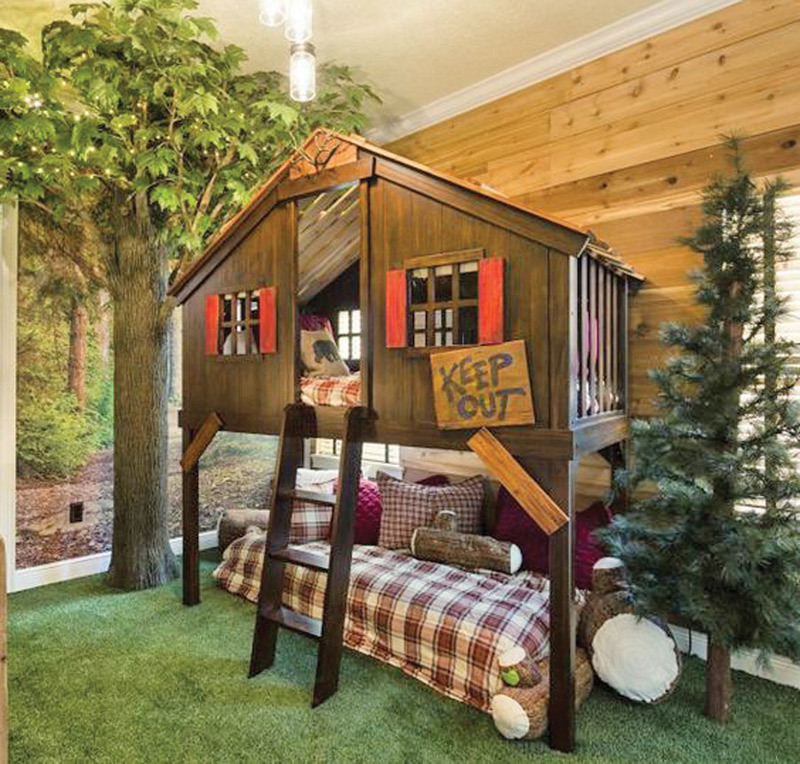 Complete with astroturf and an artificial tree, what boy would not adore this indoor fort? 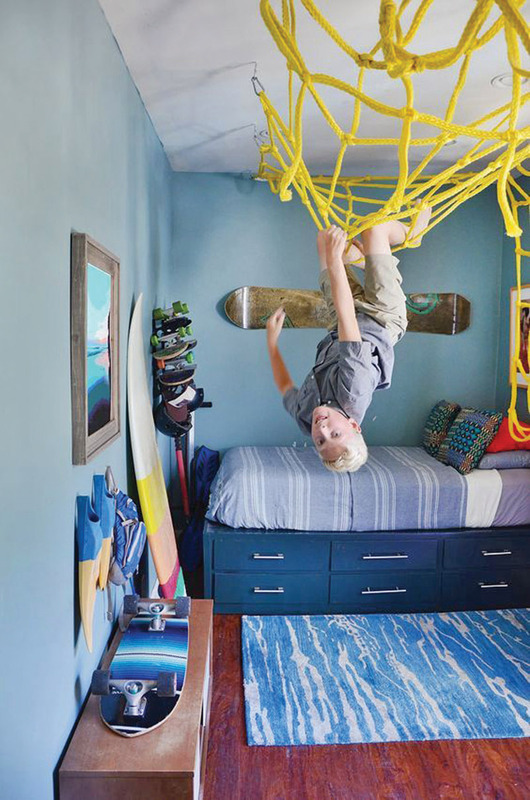 How about a ropes course on the ceiling? 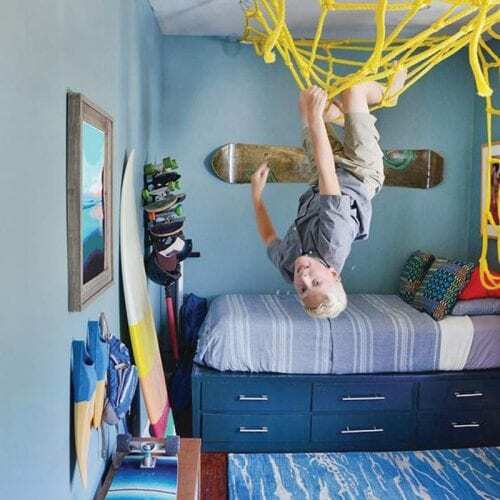 You might want to add a rubber mat! 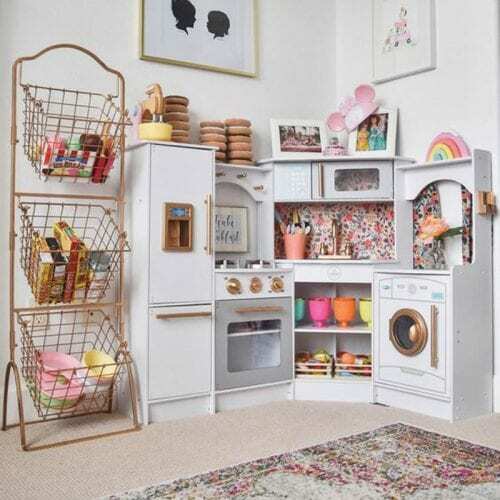 Pottery Barn has the perfect kitchenette for your little bakers bound for The Food Network. 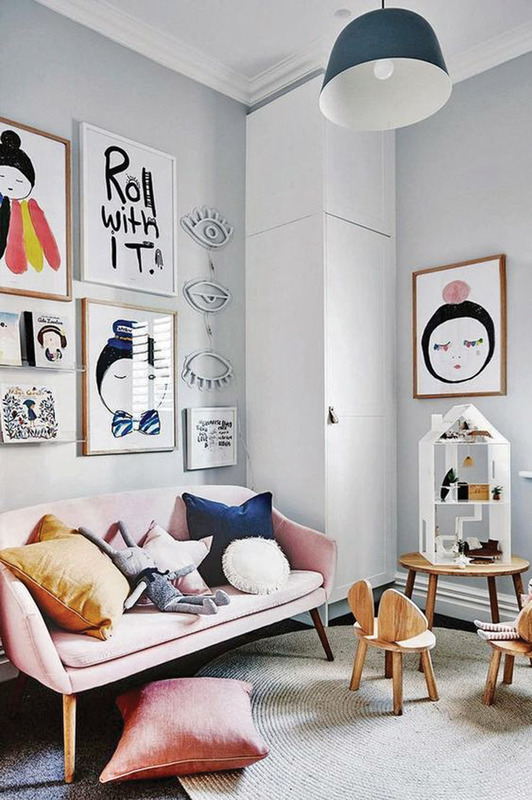 The modernist child (or parents) will appreciate a Euro-chic look. 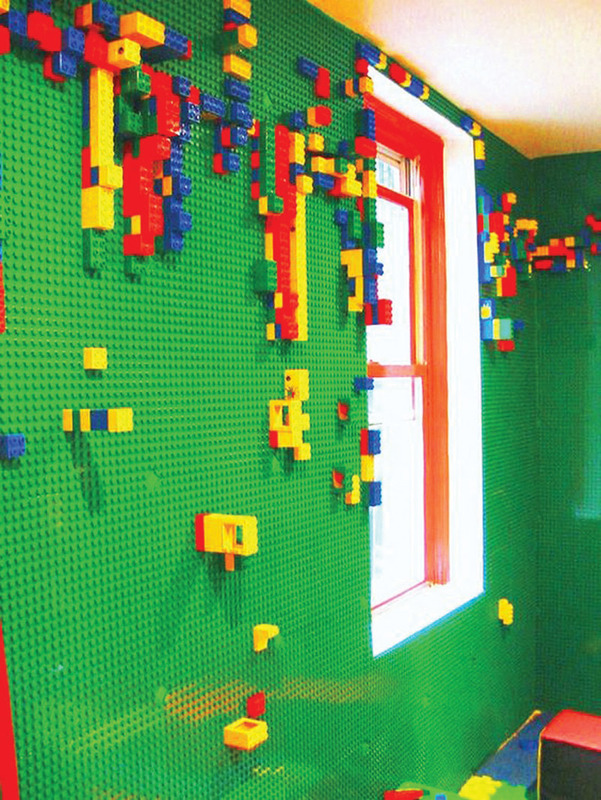 A Lego wall is pure genius! 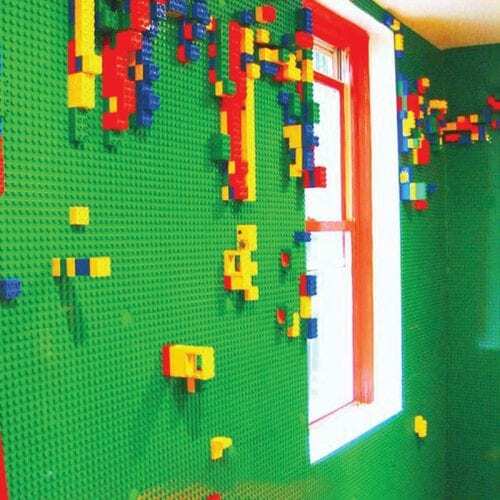 No more stepping on all of those little pieces on the floor. 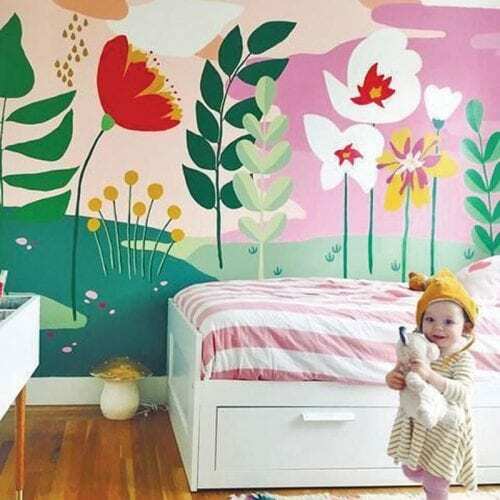 Accentwall murals can change a room instantly; shop online at Etsy or Anthropologie. 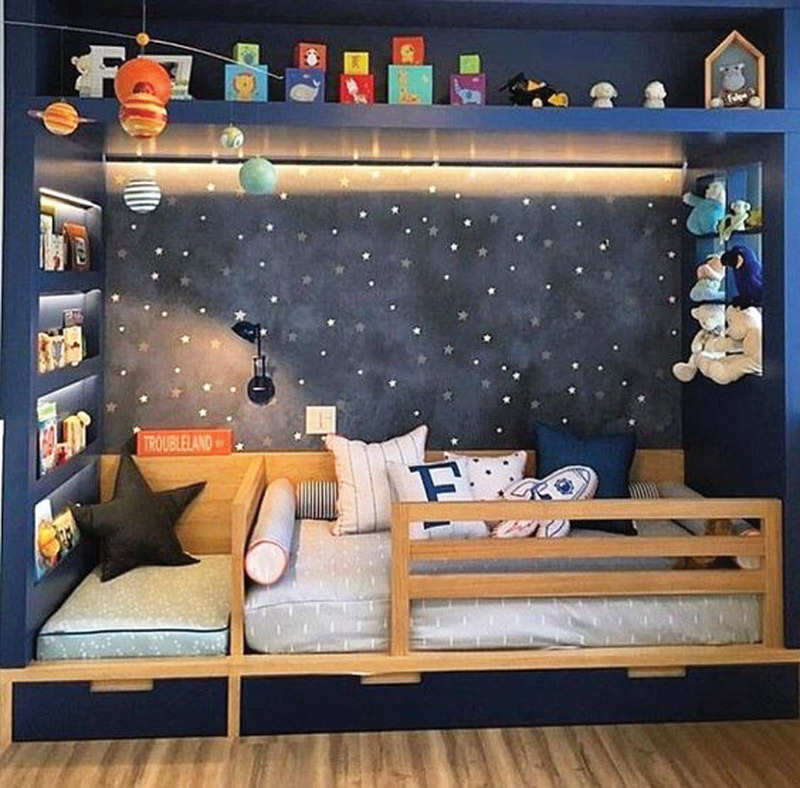 For the stargazer in your life, nothing is more far out than this adorable built-in bed. 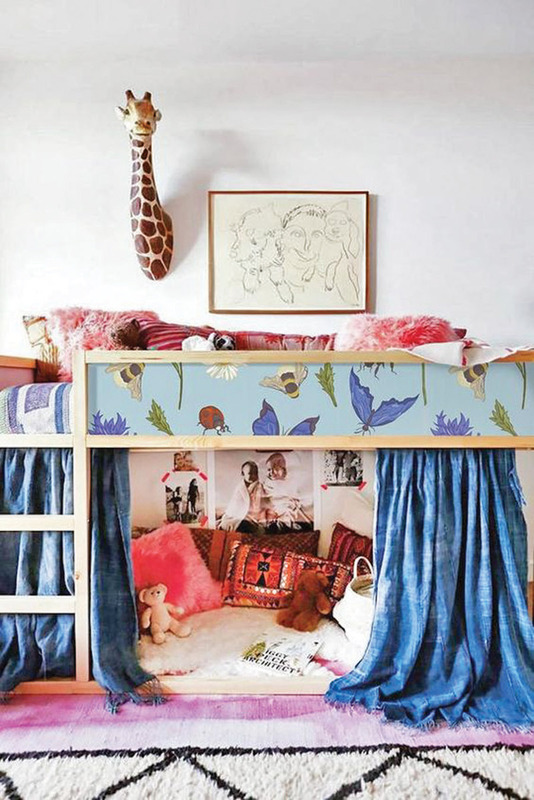 The boho look is hip among kids these days, too. 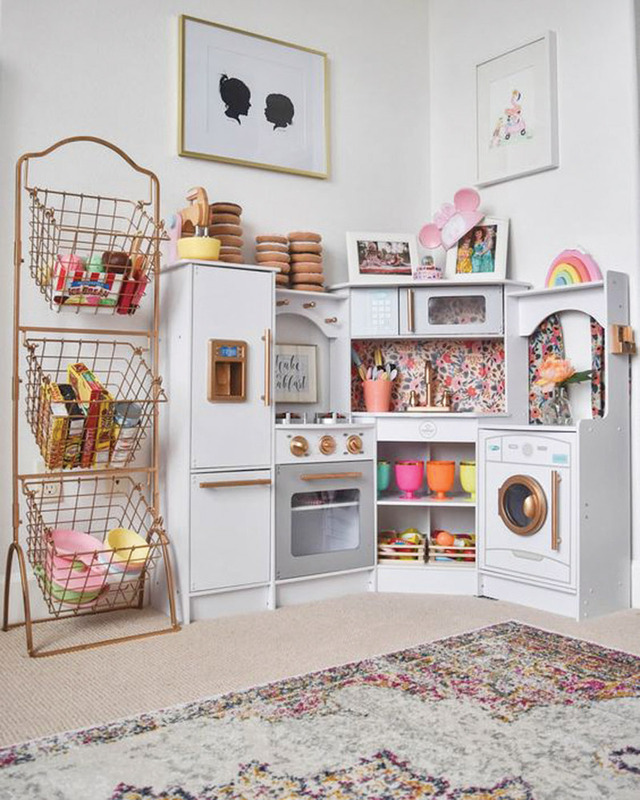 This little hideaway screams ‘60s lair chic. 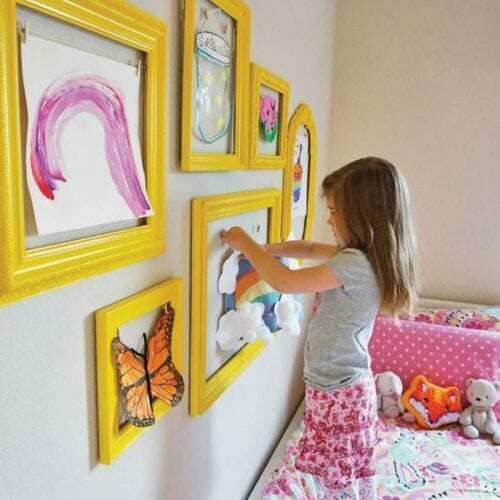 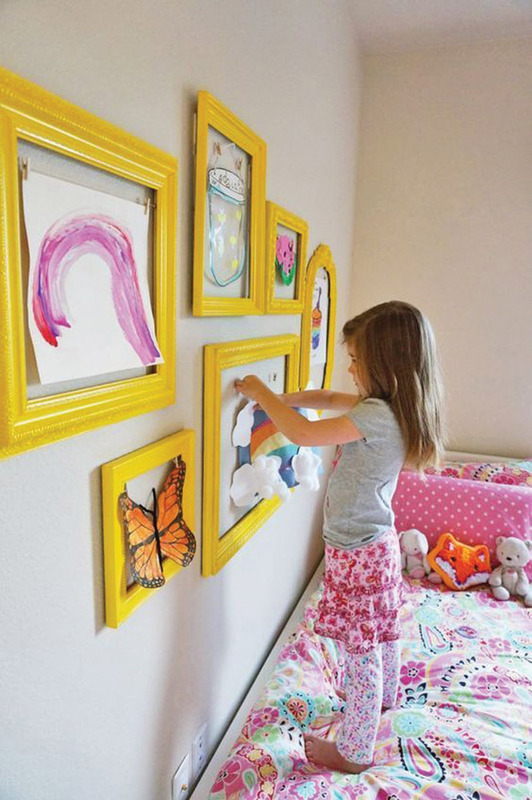 Painted, open frames are a creative way to rotate precious art projects that just keep going on and off the ‘wall of fame. 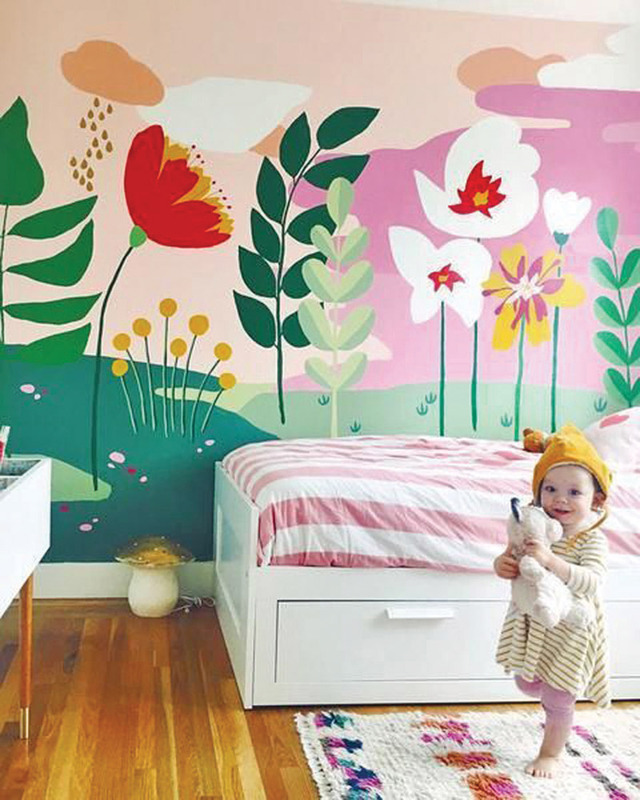 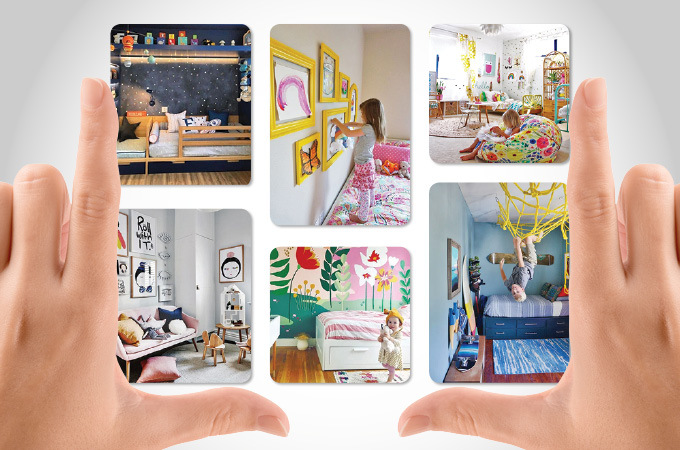 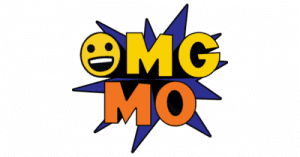 No need to fear going wild with color; your kids will love it!